Hope you enjoy the full collection! I, for one, am eager to stop dreaming about fonts. Turns out that last post marked only the beginning of a bumper-sticker-making frenzy and for four days straight I COULDN'T STOP. As a result, there are now 36 designs in the League Store that pretty much run the gamut of (super passive and nonspecific) things one might wish to express on one's vehicle. Or fridge. Or dorm room wall. Or office cubicle. Or anywhere, really. Some folks have inquired after magnetic versions. 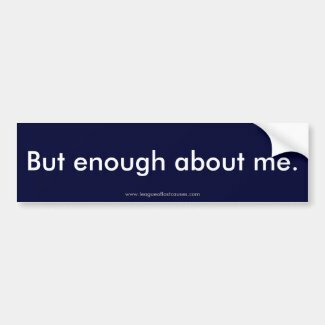 Unfortunately, car magnets aren't yet available through Zazzle, but I'll be sure to add them to the collection if and when they appear. In the meantime, I'm happy to offer advice on making the stickers "repositionable" using some ingenuity (+/- double-stick tape). 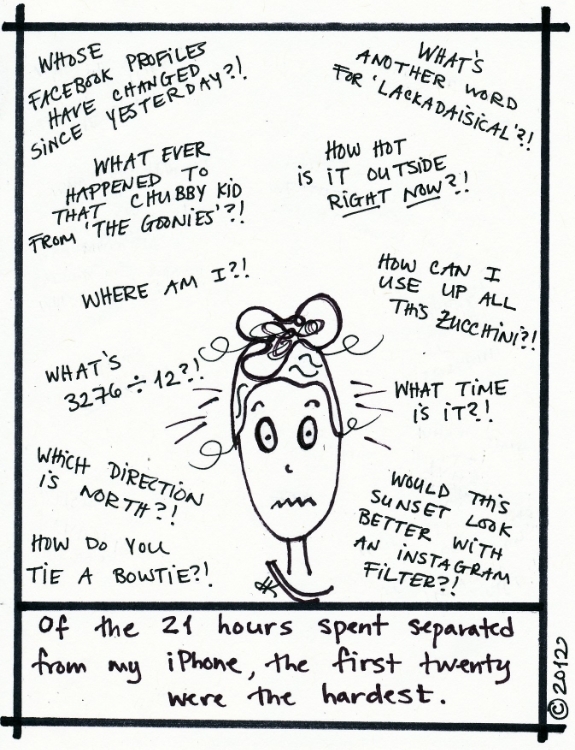 My stress level at having no phone on hand: entirely disproportionate to that statistic.